Bert Stephen Spangler, 88, of Hattiesburg, went to be with the Lord on February 4, 2019 surrounded by his family. Funeral services will be on Thursday, February 7, 2019 with a rosary at 9:30 A.M. followed by a Mass of Christian Burial at 10:30 A.M. at Sacred Heart Catholic Church in Hattiesburg. The services will be performed by Father Ken Ramon-Landry and Deacon Warren Goff. Interment will be at Sacred Heart Catholic Cemetery. Pallbearers will be Jeff Moss, Ken Bush, Colin Higgins, Brett Moss, Chris Styga, and John Bush. Bert was born in Franklin, Louisiana in 1930. He graduated from Hanson Catholic School in 1948 in Franklin, Louisiana. He attended Southwestern University in Lafayette, Louisiana. 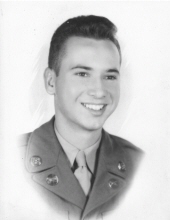 He enlisted in the United States Army Reserve, and later served in the Korean War. He retired with Colonial Pipeline after 42 years of employment. He was a member of Sacred Heart Catholic Church in Hattiesburg. He was preceded in death by his parents, Albert and Louise Spangler; a brother and sister in law, Donald and Barbara Spangler; another brother, Ray Spangler; a brother in law and a sister in law, JJ and Lauriel Legnon; and two brothers in laws, Everette Gouner and Lawrence Dupre. He is survived by his wife of 63 years, Beulah Legnon Spangler; his three daughters, Denise Pickering (Colin Higgins), Mary Beth Moss (Jeff), and Debra Bush (Ken); two grandchildren, Brittany Moss Styga (Chris) and Brett Stephen Moss; a great granddaughter, Evey Styga; his sisters in law, Barbara Spangler, Dot Dupre, Doris Legnon, Rita Gouner; a host of nieces and nephews; his extended family; and his care givers, Wanda, Katie, Pam, and Monica. In lieu of flowers the ask that donations be made to St. Vincent de Paul Sacred Heart in Hattiesburg. To send flowers or a remembrance gift to the family of Bert Stephen Spangler, please visit our Tribute Store. "Email Address" would like to share the life celebration of Bert Stephen Spangler. Click on the "link" to go to share a favorite memory or leave a condolence message for the family.